Clarity® is a brand of quality, American made 70-volt sound reinforcement, paging and background music products. Clarity products are supplied to the sound contracting market by Valcom, Inc., the leader in distributed amplified voice paging, IP communications and mass notification technology. 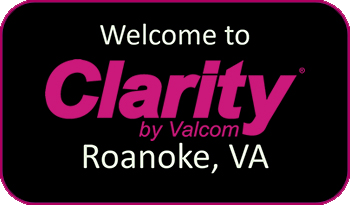 Our Clarity by Valcom website details products and their specifications to give our customers more information on how Clarity can work for your organization. For additional information click on Contact Us to find a team member who can help you.